Lottery Winner University is not an accredited college or university. There is no certificate or diploma of completion given to our members. Lottery Winner University is for entertainment purposes only. 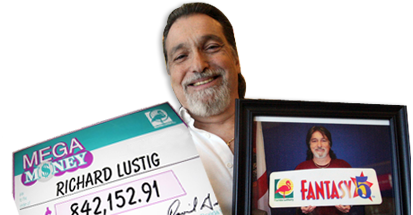 This website consists of lottery tools, video training, and lottery courses created by Richard Lustig, a 7 time lottery game grand prize winner. In no way is Lotterywinneruniversity.com guaranteeing you will win the lottery using the Lottery Winner University. The lottery is a gamble and should be treated as such. We are not responsible for any losses incurred by using this software. This software is for entertainment purposes only and should be taken as such. BY PARTICIPATING WITH THIS SOFTWARE, YOU AGREE TO THE FOLLOWING: EVERY EFFORT HAS BEEN MADE TO ACCURATELY REPRESENT THIS PRODUCT AND ITS POTENTIAL. JUST LIKE ANY OTHER BETTING OR LOTTERY ACTIVITY, THERE IS NO GUARANTEE THAT YOU WILL EARN ANY MONEY USING THE TECHNIQUES AND IDEAS IN THESE MATERIALS. EXAMPLES AND TESTIMONIALS IN THESE MATERIALS ARE NOT TO BE INTERPRETED AS A PROMISE OR GUARANTEE OF EARNINGS. INCOME CLAIMS OR RESULTS SHOWN IN THIS SITE ARE PURELY BASED ON ESTIMATIONS, SOME USER EXPERIENCE AND ARE NOT TYPICAL FOR EVERY USER. DUE TO THE FACT THAT WE DO NOT RECEIVE RESULTS FROM EVERY USER FOR THIS INFORMATION, THAT MAKES THE TYPICAL RESULT ZERO AND THUS WE DO NOT KNOW NOR CAN WE GUARANTEE THAT YOU WILL WIN. AS WITH ANY BETTING ACTIVITY, YOU RUN THE RISK OF NOT MAKING ANY MONEY AT ALL OR EVEN LOSING MONEY. (C) LOTTERYWINNERUNIVERSITY.COM IS COPYRIGHTED. ALL OTHER MARKS ARE THE PROPERTY OF THEIR RESPECTIVE OWNERS. ALL RIGHTS RESERVED. UNAUTHORIZED DUPLICATION OR PUBLICATION OF ANY MATERIALS FROM THIS SITE IS EXPRESSLY PROHIBITED. Copyright © 2019. LotteryWinnerUniversity.com - All Rights Reserved. ClickBank is the retailer of products on this site. CLICKBANK is a registered trademark of Click Sales Inc., a Delaware corporation located at 1444 S. Entertainment Ave., Suite 410 Boise, ID 83709, USA and used by permission. ClickBank's role as retailer does not constitute an endorsement, approval or review of these products or any claim, statement or opinion used in promotion of these products. Legal Disclaimer: Most of the Lottery Winner University customers will not win the lottery, and you should not expect to win the lottery by purchasing Lottery Winner University or following the program. These testimonials do not reflect the typical user's experience. This website and the Lottery Winner University product are for informational and entertainment purposes only and do not constitute investing advice. Please play the lottery responsibly and seek help if you have a gambling problem.